A new whistleblower directive was approved by EU law negotiators on Tuesday in Strasbourg. 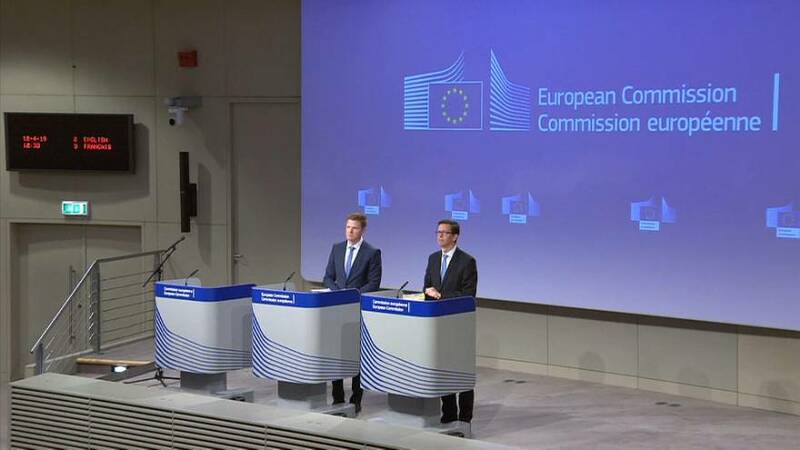 It is a "broad agreement, (which) covers most areas where we set minimum standards for protection reporting channels to ensure whistleblowers are better protected and protect them from retaliation," said Christian Wigand, a spokesperson from the European Commission. It will help those who report on subjects such as fraud or tax evasion according to EU law. During a press conference this week, Euronews' Nima Ghadakpour asked if the European Commission considered Julian Assange a whistleblower. Wigand answered "No comment on individual legal proceedings. This is a matter for the relevant judicial authorities." Meanwhile, there will be a vote on the whistleblower directive next week. When the law has been finalised, EU member states will have two years to implement the rules into each country's legal system. There are only 10 EU member countries at the moment, which have a law protecting whistleblowers. According to the EU Commission website, it estimated a loss of potential benefits, due to a lack of whistleblower protection, ranging between €5.8 to €9.6 billion each year in the public procurement sector alone.